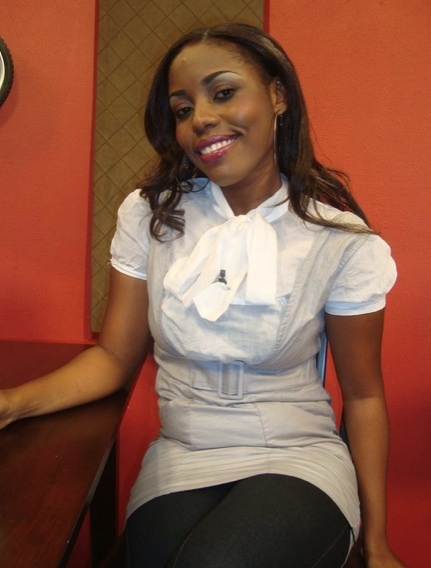 SPORAH TV: YOU'VE HAD YOUR SAY, NOW BHOKE FROM BIG BROTHER HAS HERS. YOU'VE HAD YOUR SAY, NOW BHOKE FROM BIG BROTHER HAS HERS. You watched her on your T.V. screens in Tanzania and then you watched her all over Africa on Big Brother Amplified 2011. She's had a controversial time since her exit but we were not satisfied with the word on the street... we wanted to hear it straight from Bhoke's own heart. Get to know Bhoke Egina all over again in her Exclusive interview with iMagazine. iMag: Who is Bhoke Egina? Tell us about yourself? BE: Bhoke Egina is a very humble girl, down to earth, gets along with lots of people... I was born in Dar es Salaam I have two sisters and one brother and I'm the last born. I studied at Mlimani Primary School then Makongo High School, Tambaza High school and I did my Law degree at Tumaini University. 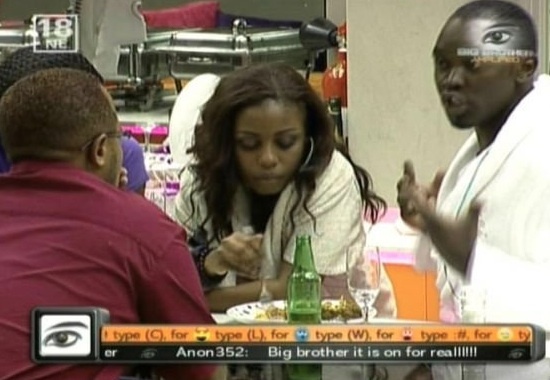 iMag: What motivated you to apply for Big Brother Amplified (BBA)? iMag: Wow, that is tough for any woman to hear let alone for a woman to go through. I can understand why you needed a change! How did you find out you had been selected? BE: They sent me an email and called me after I had gone through dozens of interviews, I was so happy to be selected. iMag: So, when you were on the plane ready to go to be part of the show, what were you thinking? What was on your mind? BE: There were so many things on my mind at the time like how will the experience be, what kind of people will I meet, how will my friends take it because most of them didn't know I was going to be on the show. I was very excited to be chosen! iMag: Once you got into the Big Brother house could you be yourself? Did you find yourself acting or were we seeing the real Bhoke? BE: I tried to be myself as much as I could, it is a different environment so you have to adjust to some things and be flexible but acting NOOO, you can try to the first couple of days but sooner or later the real you will come out! iMag: What about your housemates? Were they all genuine? Who was your favourite and who did you like the least? BE: I think everyone was genuine atleast that's what I felt when I was in there, you can tell when a person is fake and like I said in that house its not easy to be fake and pretend. I was very close to Kim from Zambia, Nick from Kenya, Alex from Ghana, Ernest from Uganda and of course Confident...there were people that I was not close with for instance Karen, though we were in the process of getting to know one another. iMag: You were surprised that Alex nominated you for eviction, he was one of your boys, why do you think he did that? BE: Yes I was, I cannot say why he did it only he has the reasons why, but it is a game and I understand! iMag: Going in, did expect to find Mr Right in there or make any lasting friendships? BE: Mr Right Noooo...friendships Yes definitely!!! iMag: Of course the questions that are on many people's lips concern a particular guy from Uganda..... when did you first see there was an attraction with Ernest? BE: The first time I met him was in Johannesburg I was there for the Big Brother interview and so was he but we did not tell eachother that. We went out and had a great time when we returned to our countries we kept in touch still, we would call and text eachother all the time. iMag: There are some things that we don't see especially us outside of Africa watching via Youtube and blogs, what was so special about Ernest that made the relationship move so fast? BE: Our relationship did not move fast, like I said me and him met way before and just clicked and being in the same house just made us even closer. iMag: Some of your housemates commented that you guys never showed interest to other people in the house... would you say that was a fair thing to say? BE: We mingled with other people just as much so I don't think that was a fair thing to say. iMag: I watched a Youtube clip of you and Ernest talking I think the next day after something had happened. I felt from listening to you talking that you regretted what had happened. Did you? Was it a case of waking up after a drinking too much and thinking... nooo what happened last night?? BE: I had a lot to drink the previous night I can't deny that and I needed to understand what had happened... only me and Ernest know the truth of the matter regardless of what the clips might show or anyone might say nevertheless everyone is entitled to their own opinion and I respect that. iMag: It happens to so many people but I guess unfortunately for you it was on live t.v. I've heard that on Big Brother you somehow forget that there are cameras and just live life as normal.... is that what happened? BE: Big Brother is not a series that you say "action" and people begin to act, it's your everyday life it's more like we bring the cameras to your house so after a while you forget the cameras and just live as you would in your own house. iMag: Listening to Ernest in that youtube clip one could feel that he was playing up for the cameras, that it didnt bother him as much. What do you think? BE: I cannot speak for him, at that particular moment he told me something that I would remember for the rest of my life he said "This is your personal journey and nobody else's" He also reminded me of why I was there in the first place. iMag: Do you think he was being genuine? BE: I know he was genuine, we did not plan to meet in the Big Brother house maybe for me and him that's how we were supposed to meet, ...I'm just a girl with feelings and emotions just like everybody else. iMag: How was it when you saw your family again after all of that. I guess it was their opinion that mattered most? Have they been cool? BE: My family is my backbone especially my mother, they know me and we don't talk about things that don't matter. iMag: And how is your relationship with your family now? BE: Just like it was from the beginning nothing has changed not even one bit! iMag: People can only judge you based on what they see. Is there anything you'd like to say about Bhoke to give the full picture, the parts of Bhoke people did not see on Big Brother? BE: People will always judge no matter what you say, I can write a whole speech about me and they would still judge, it's funny how people can write or say stuff about you that you don't even know for instance I have fan pages and I'm not in control of whatever is written on those pages. It is not me writing and people don't know that the only page I'm in control of is my personal Facebook account. No matter how much I think this is my business and nobody else I still don't believe that provoking people is a way to go. Anyways the people close to me know me and they've been very supportive I'm glad for that and that's what matters the most. iMag: Another thing I guess is the culture. Here in the UK celebrities make money from their naughty antics on Big Brother. In Africa it's more conservative. What do you plan to do to erase those antics from people's minds when they think of Bhoke? BE: I think when you meet me you'll see that I'm totally the opposite of what people think I am. You can't change people's minds if they don't want to, it's their prerogative to think whichever way they want about anything.... this experience has taught me a lot. I know who are my real friends and who are not ....I'm not going to let that phase me and make me lose my focus I think that would be a crime to myself. iMag: Have you been in touch with Ernest since coming out of the house? Any plan to go to Uganda? BE: Yes we are in touch, he's very supportive and very worried about me and about everything that's going on. I would like to get to know him better and see how it goes he's a great person and a good friend...And I can't wait to go to Uganda. iMag: Other than the 'incident' was there anything in the house, for you, that you worried about your family and friends maybe seeing? BE: Nothing whatsover I don't believe in living in fear I'm a free spirit. Whatever happens people move on with their lives so why shouldn't I move on with mine? iMag: What do you have planned for the future? Will you continue with your show? BE: Of course I will continue with the show, they haven't seen the last of me yet! I wasn't us to take 5Connect to another level and I think we have the means to do it. 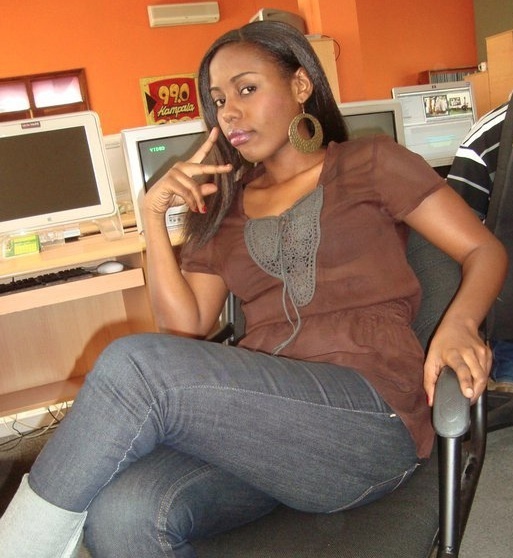 iMag: Who do you think deserves to win BBA 2011? iMag: For all the good and bad - was your time on Big Brother a positive experience? Would you do it again if offered a spot on the next BBA All-Stars? BE: It was a good experience for me afterall I had my personal reasons to go in there and I think I fullfilled what I wanted as an individual the rest as they say is history! If given a chance I will grab it for sure! iMag: Thank you for talking to us Bhoke and we wish you all the best and hope to have you live on the Sporah Show in the future. Ulishayakoroga mamaangu pole sana maana bahati haziji mara mbili! No way Sporah! This girl is your neighbourhood?!!! Watched her in BBA! Mm She is not my cup of tea, but I think she is a ST in her own way. Nakupenda sana dada, wasikuzengue HAKUNA ALIE MSAFI. I respect you Bhoke and i love you because your real Diva, a true Diva. Love you.